FIABCI, the International Real Estate Federation, is a business network of real estate professionals worldwide. FIABCI provides access and opportunity for real estate professionals interested in gaining knowledge, sharing information and conducting international business with each other. TEGoVA, The European Group of Valuers' Associations, is a European nonprofit making association composed of 63 valuers' associations from 34 countries representing more than 70,000 valuers in Europe. 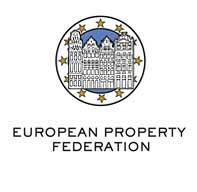 Established in 1997 as an Economic Interest Grouping under Belgian law, EPF is a pan-European organization of national property associations and companies representing all aspects of property ownership and investment: residential and commercial landlords big and small, housing companies and property investment and development companies and funds. EPF's members own and manage property assets worth € 1.5 trillion. There are also academic members (real estate faculties in universities or real estate training institutes) from Belgium, Finland and the Netherlands. ULI – the Urban Land Institute is a nonprofit research and education organization supported by its members. Founded in 1936, the institute now has more than 37,000 members worldwide representing the entire spectrum of land use and real estate development disciplines, working in private enterprise and public service. As a multidisciplinary real estate forum, ULI facilitates the open exchange of ideas, information and experience among local, national and international industry leaders and policy makers dedicated to creating better places. CoreNet Global is a non-profit association, headquartered in Atlanta, Georgia (US), representing almost 10,000 executives in 50 countries with strategic responsibility for the real estate assets of large corporations. The organization’s mission is to advance the practice of corporate real estate through professional development opportunities, publications, research, conferences, designations and networking in 47 local chapters globally. The GRI - is the foremost organizer of top-level pan-European conferences in the real estate industry. The GRI Chairmen's Retreat is a private get-together, on a first-name basis, of the top 100 real estate investors, developers, owners, lenders and users in Greater Europe. The GRI’s 14 geographically-focused events take place in most of the world’s major markets (Brazil, Russia, China, Europe, Asia, Germany, CEE, USA etc...) see our website for information on GRI Partners, Board Members, Discussion Chairs, Keynotes, Speakers and Attendees. INREV is the European Association for Investors in Non-Listed Real Estate Vehicles and a leading European platform for sharing knowledge on the non-listed real estate industry. Our goal is to improve transparency, professionalism and best practices across the sector, making the asset class more accessible and attractive to investors. It is a highly active association, which works for and with its members in a number of specific ways. These include: research and industry data, professional standards, public affairs, training and education, events. Founded in 1957, the International Council of Shopping Centers (ICSC) is the global professional association of the shopping centre industry with over 70,000 members in more than 100 countries. It’s events and activities include networking meetings, educational sessions, professional schools and trade shows, while ICSC’s global awards recognise professional excellence in the market acknowledging achievements in marketing, design and development, and retail store design. MSCI, with 30 years of real estate market insight, is committed to supplying the real estate investment industry with the quality of information available to investors in equity and bond markets.Through its real estate offering, IPD, MSCI provides real estate market intelligence, benchmarking and portfolio analysis services to clients in over 30 countries around the world. Founded in 1999, EPRA is a not-for-profit association registered in Belgium. The association is governed by an advisory board, which delegates some of its functions to a board of directors. EPRA’s success is based on its working committees, which develop and drive the agenda of the association. Each committee brings together experts from different countries and sectors of the real estate industry to provide the insight and expertise needed to meet the challenges facing the listed real estate sector in Europe. RLI Connect is a sustained platform for doing business and building value through strategic partnerships on a global scale. Bringing retailers, franchise operators and developers together from around the world and RLI Connect creates a focused networking atmosphere with pre-arranged meetings and networking lounges, with one very simple objective – to help you do business. RLI Connect provides an opportunity to explore expansion plans whilst examining potential client markets across the globe. The event delivers a focused forum on dealmaking, providing an opportunity to do a year’s worth of deals in just two days. Vida Imobiliária is a multi-media publication, which has a magazine, newsletter and website; in addition, Vida Imobiliária promotes national and international real estate events. Vida Imobiliária Magazine has the most updated, completed and important editorial. Therefore, Vida Imobiliária is renowned among the all sectors of real estate market. In addition, it has a segmented distribution focusing the public-target which includes the high-levels and decision makers of market.